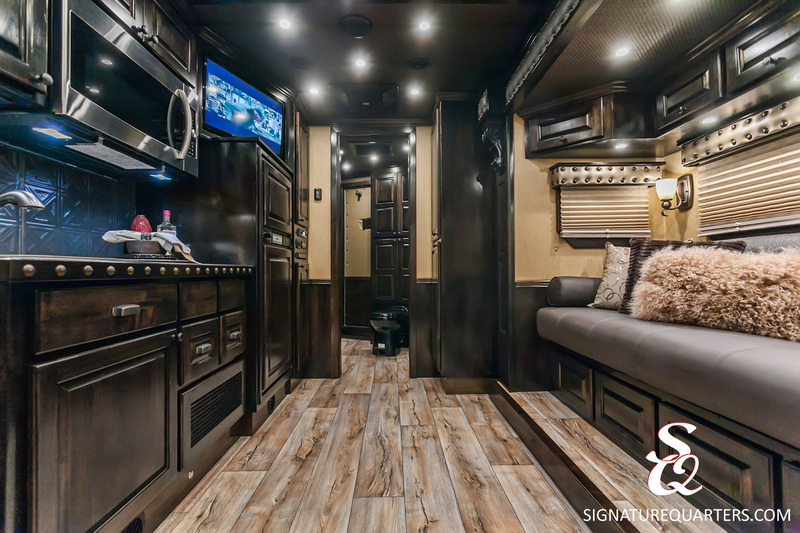 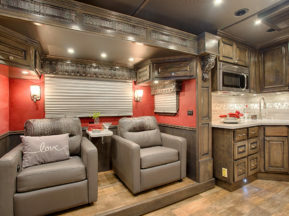 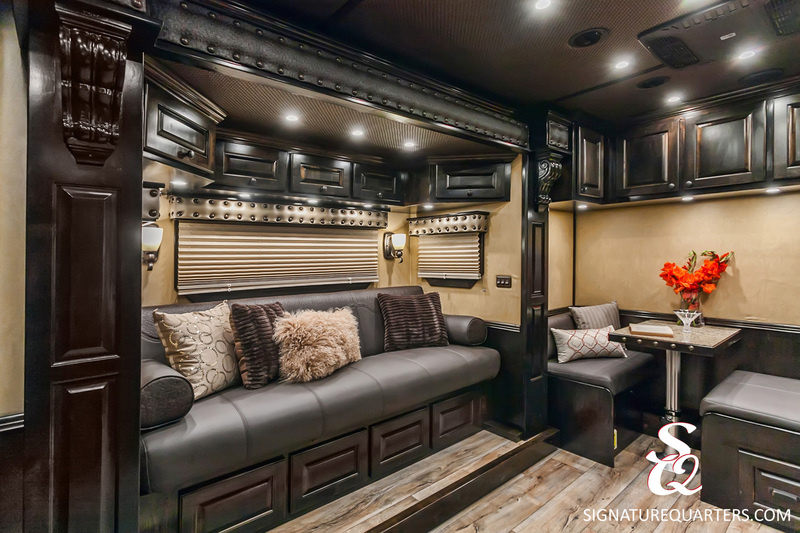 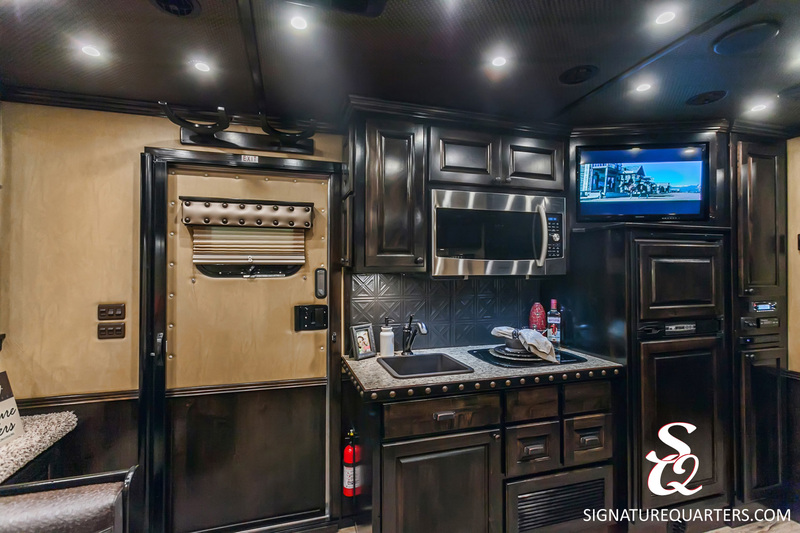 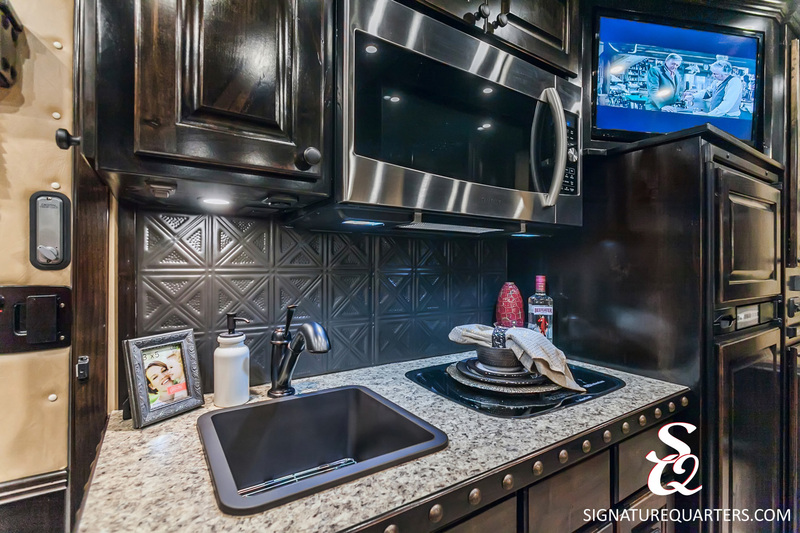 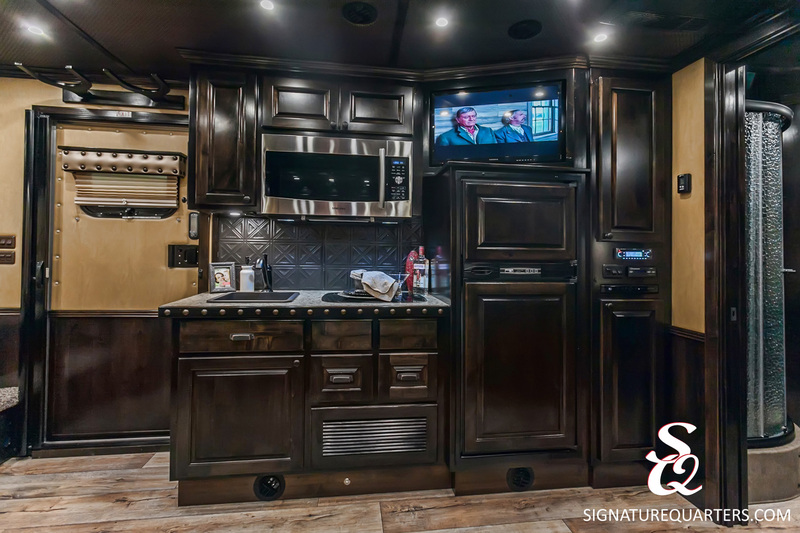 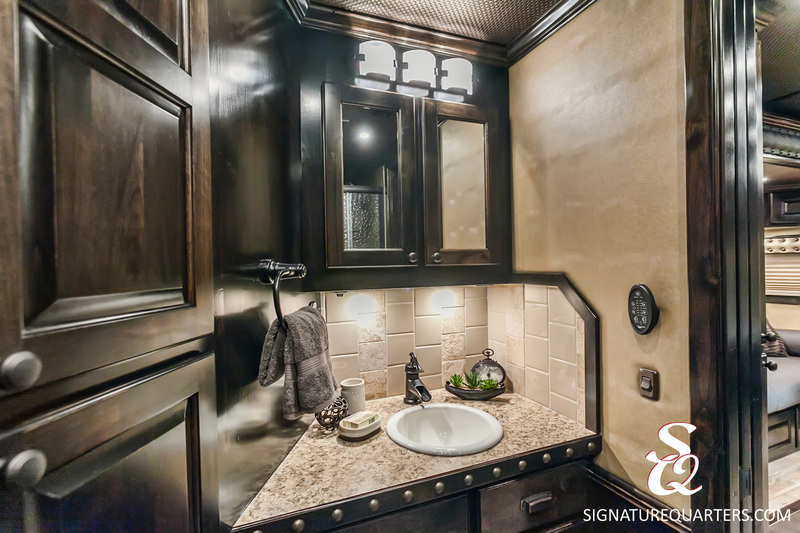 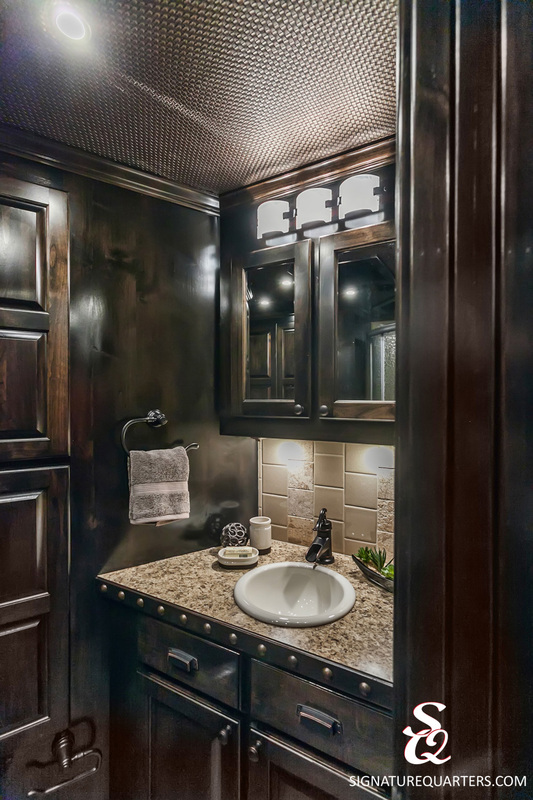 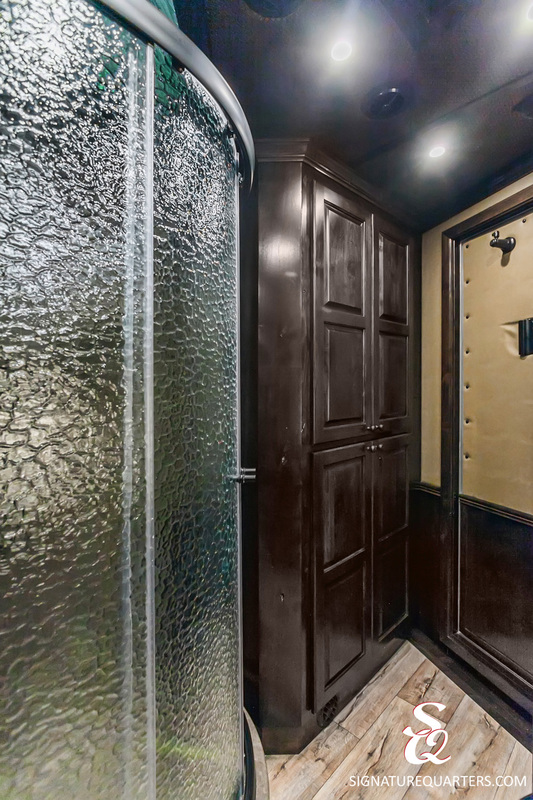 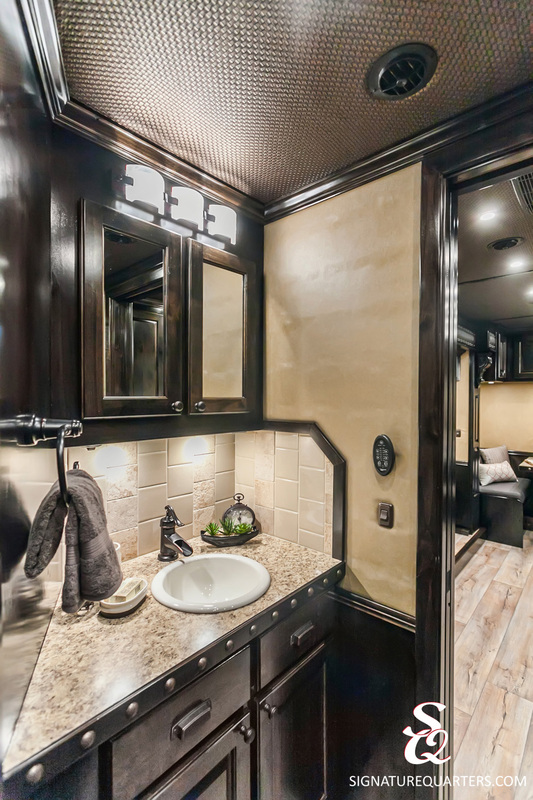 A rich color scheme, an open floorplan and lots of unique finishes make this trailer truly one-of-a-kind. 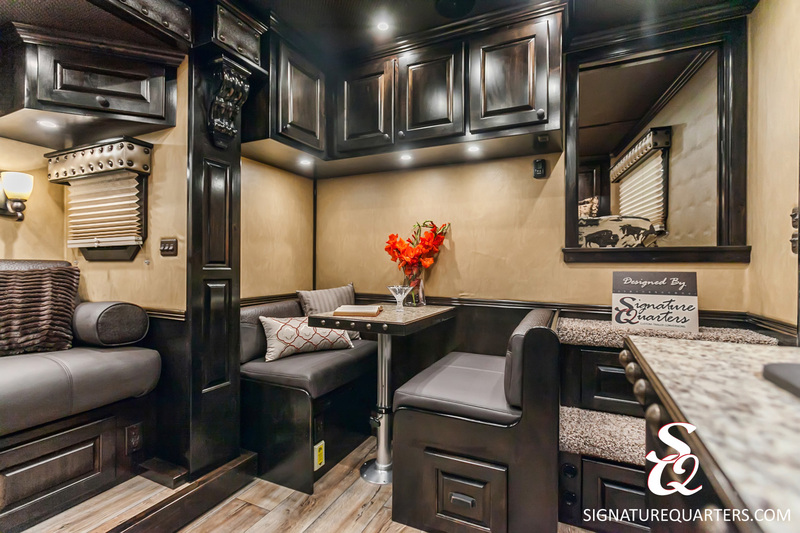 Featuring both a dinette and a sleeper sofa, there is plenty of room for entertaining, and two air conditioning units ensure everyone will be comfortable no matter the weather. 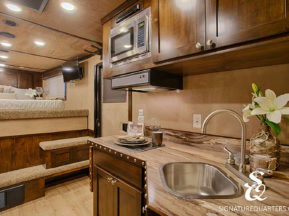 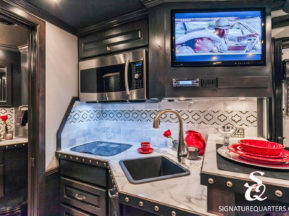 Customizations like the original western bedding set, faux tin kitchen backsplash in the kitchen, ceramic and stone tile work in the bathroom, and unique soft touch colors take this trailer over the top.